Despite a day of frequent soft Welsh rain showers, the biannual NSA Welsh Sheep event was, as usual, very well-attended by the farming community. 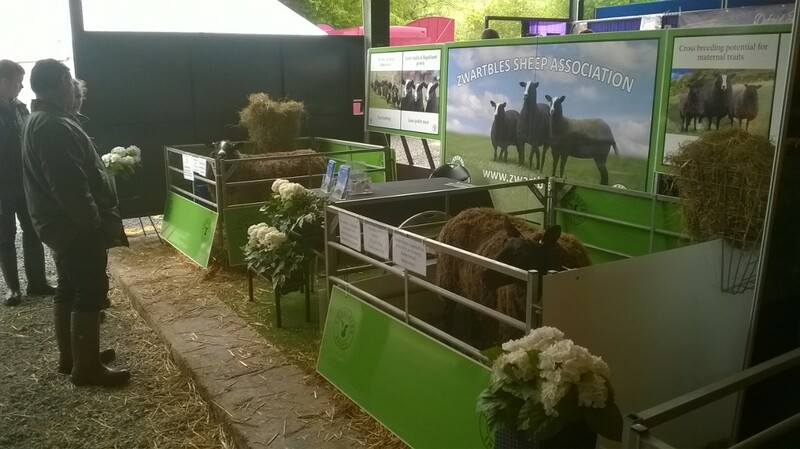 Held at Talybont on Usk, the new & improved ZSA stand made its first appearance this year and proved popular, with 2 pens, 1 containing a pure-bred ewe and twin lambs, and 1 containing a cross Zwartbles ewe with her Vendeen cross lambs, drawing a lot of attention, particularly from the commercial man. It was also nice to catch up and have a chat with a few members. The stand also proved very popular with the media, being filmed both for the Welsh TV channel S4C Ffermio programme, and ITV filming for a slot on the regional 6 o'clock news spot. 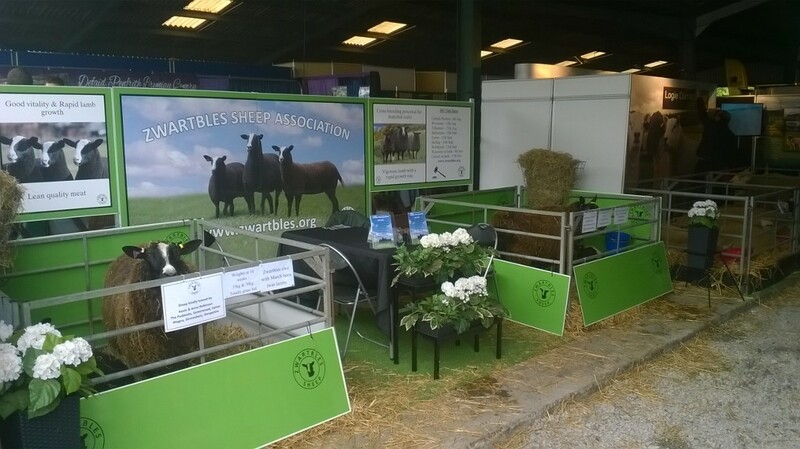 Many thanks to Bob Gibson, Joan Rowlands & Kevin and Anne Robinson for manning the stand, which really looked very impressive, and to Marigold Dequincey and the Robinsons for supplying the sheep. The stand now makes the long trip up to the north of Scotland to Highland Sheep on the 31st May, followed by North Sheep on the 7th June.